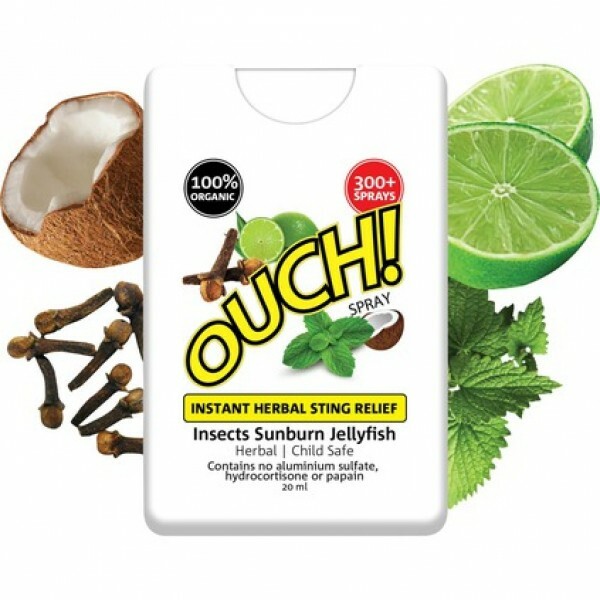 The Ouch Instant Herbal Sting Relief (20ml) relieves irritation and swelling caused by insect bites, jellyfish stings or sunburn. It will reduce the urge to scratch, and minimise any pain in the affected area, and will also reduce the risk of infection. The 100% organic certification will give peace of mind, knowing that there are no harmful chemicals contained in this product. The 20ml size dispenses 300+ sprays, so there will be plenty to go around, no matter how large your family or group is! Support this 100% Australian-made and owned produc,t and treat your bites, stings or sunburn with this herbal remedy.